Look at those bowls of food. OK, so we’re not aiming for these exquisite masterpieces initially, if ever, just showing you what’s possible! On a side note, I really don’t know how any vet can tell me with a straight face their highly processed, high-carb, high-salt, high-chemical crackers made last year in China is as nutritious as the bowl those meals sit in, let alone the meals themselves! Dogs are scavenging carnivores, meat eaters, however, it’s not just plain “meat” like steak every day that he needs, as much as I’m sure he’d appreciate it! When eating prey dogs waste little. Generally, the whole thing goes down if possible, bar the stomach contents. This is unlike cats who tend to nibble the best bits. 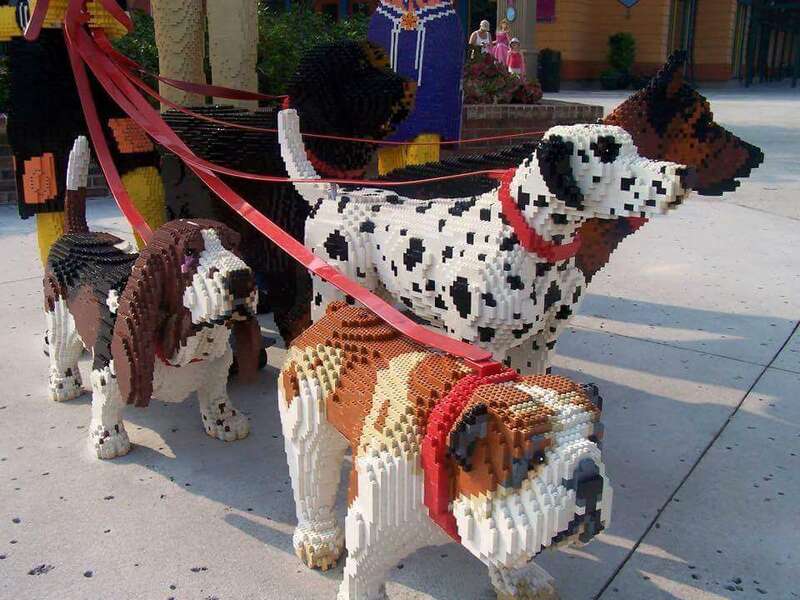 Over time dogs have evolved to need all the bits therein. 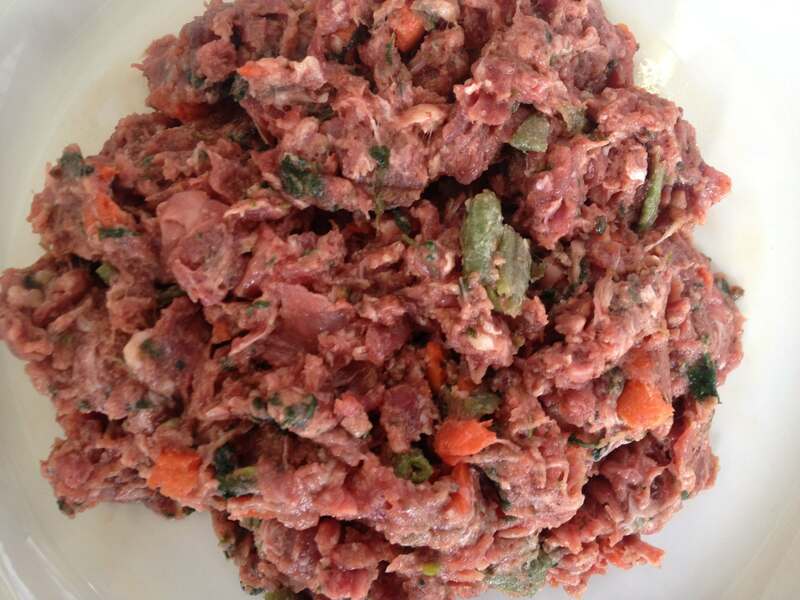 In short, the ideal raw diet for dogs would contain meat muscle, organs, some cartilage and bone. When feeding dogs I like to think of it like lego, where like builds like, they use muscle meat to build their muscle, cartilage to build their cartilage, bone to fuel bone growth. Organ meat like liver, kidney and spleen are akin to green vegetables for humans. Dogs also need some roughage, normally in the form of skin and hair and nails but this can also be provided in the form of vegetables! On the latter, most are agreed dog’s do not need vegetable matter (meat eaters) but for sure we can include some plant matter, when done correctly. 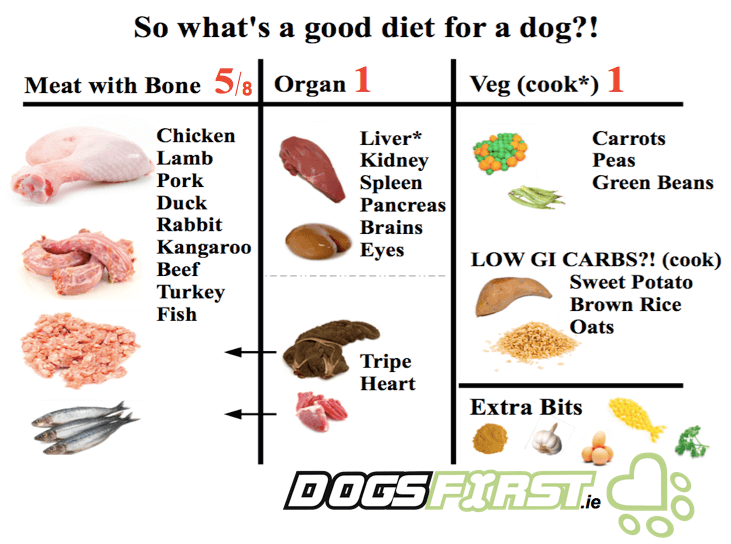 When making a raw diet for dogs keep in mind the ratio 5:1:1; which is 5 parts meat on the bone (or good mince with some cartilage and bone in it such as chicken, duck, turkey or beef mince); 1 part fresh organ meat (liver, kidney, heart, with fresh liver being the most important) and 1 part cooked vegetables. The ratio can vary up to 8:1:1 where the 8 refers to meat, 1 part organ meat and 1 part bone (on the basis that this is roughly what a rat or rabbit is made of, it’s called the Prey Model). However, we find a little more organ meat is beneficial, as is some veg (and the prey model can work out extremely expensive, which is a needless barrier to entry for some, folk need flexibility). Meat. Meat on the bone is ideal for dogs, they love chewing and breaking it down, and, it’s good for them. However, it can be messy and cause people to worry, so it is initially best to buy the meat in mince form, ideally with an approximate 10-12% bone content. 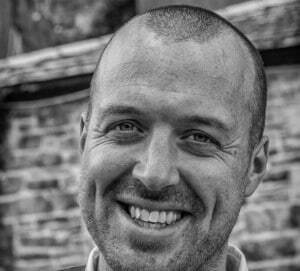 Anything with a face is good – chicken, turkey, duck, pork, beef, whole sardines. Fish is good too but it’s the only meat whereby you should freeze it first before either including it in your mix or giving to your dog as fish can contain worms that can populate your dog. Tripe and heart is an organ BUT we use them as meat as they are purely muscle. 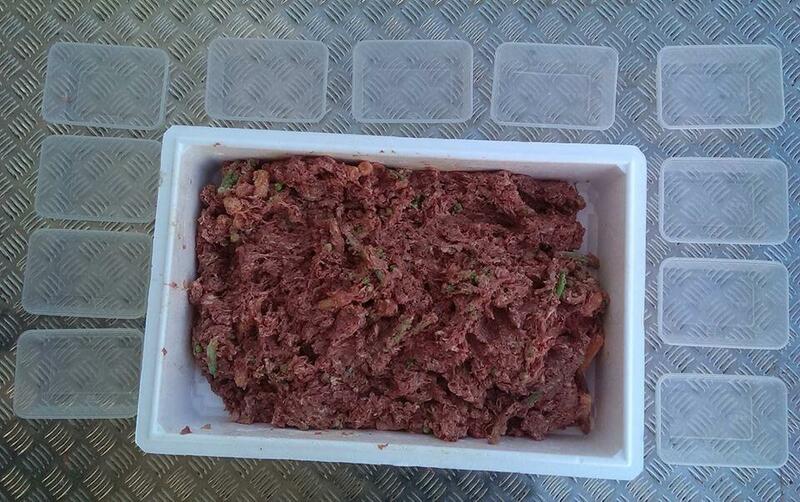 You will find a lot of raw dog foods are bulked with these as they’re cheaper than say chicken breast or beef mince. As the other organs store and produce all sorts and thus should be fed in moderation. Organ. Think of organ meat like green vegetables to humans. Liver, kidney and heart is nutritionally very important for the dog, with liver possibly being the most important. Spleen is brilliant too, when you can get it. Use any organs (beef, turkey, pork, lamb, chicken, duck organs). Veg. Whaaat?! Veg you cry?! Yes. I feel if you are going to exclude hair and feathers and hide all the other indigestible parts that come with eating a whole animal (which most of us normally do) then a little veg addition adds a bit of fibre to help form a nice poo. It’s perfectly OK food for dogs in small amounts. Not only is it a much-needed source of fibre (certainly as some raw dog foods can be quite boney) but it can also add fantastic phytonutrients to their meal when presented correctly (cooked, so the fibre is broken down and they can get at the good stuff). Some use, some do not. I personally do. Any greens are great though easiest to start off with a bag of frozen green beans, peas, carrots etc. Defrost and give them a light cooking is best. More on the science behind feeding dogs veg here. Carbs. Also, some people include a carb addition, largely as a filler. Dogs do not need this stuff, we know that, but as the article on feeding dogs veg above highlights, dogs do display some tiny evolutionary steps towards carb digestion. This wouldn’t have occurred without them being in some way part of their diet at some stage. Also, some sighthounds certainly need some in their normal fare and I often use a little in pups or seniors who need an energy boost. Thus a small bit of boiled or soaked porridge (oats) or boiled sweet potato with skin on (slower to digest than normal potato, which is better for everyone but particularly carnivores who don’t appreciate the sugar punch) can be used. But whatever works for you, they don’t absolutely need them, that’s for sure. We don’t recommend rapid-to-digest cereal such as wheat or corn, rice of any kind or white potatoes. When you think about it, dry food is more than 50-60% poor quality filler! You putting in 10-20% porridge is fine, certainly if money is an issue and while you want to feed lots of meat you are concerned over cost. And you’re using the good stuff, not rapid-to-digest crap wheat or corn. This is where you need to be a bit careful. As the raw dog food market explodes, there will be more groups entering the market trying to make you pay good money for bad meat. After all, chicken carcass to the unsuspecting eye looks like chicken mince when it’s ground fine enough. 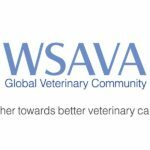 Check out our article on what is the best raw dog food for a few tips. In short, I like to see what I’m buying. For Irish and UK readers, by far my favourite raw dog food supplier is Paleo Ridge. I’m proud to push them at this point. The minces available to dog owners will vary in quality and calorie content (certainly "pet" minces). 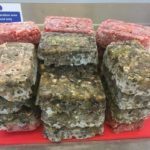 It can be a bit of minefield as dogs rarely complain and there's lots of sneaky ways to wrap up carcass and fat and sell it to you as if it were fillet steak. So get to know your supplier, visit their shop, try keep it Irish and in so far as possible buy from local butchers. They have bins full of stuff and you buy other bits from them they can be more than accommodating. 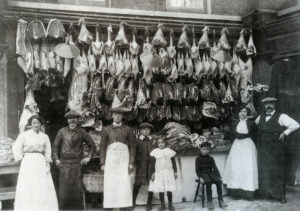 Other butchers have great online facilities and great deals can be found. I'm in Irleand and often use the lads at Carnivore Kellys.ie. Almost all butchers do “value packs” (make sure the meat is local, in so far as possible). You usually have to pick these up though. And don't forget supermarkets. Their reduced aisles are a popular haunt for us raw feeders! Ask them when they're getting say their chicken in and come in the night before to avail of the cut-price meat that they have to offload. Meat Ingredients: Enough for 2 to 4 weeks, depending on freezer space. Carbs such oats / porridge (though there’s no need). Add any of the additions into the mix now: Make sure they are raw. Mix well, with gloved hand or large spoon. You know what your dog needs per day so bag the mix accordingly. Wipe the surface down with antibacterial. Dogs being introduced to raw dog food, after previously being fed dry dog food, have very limited taste experience, so need to be changed over slowly - a teaspoon one meal, two the next....! 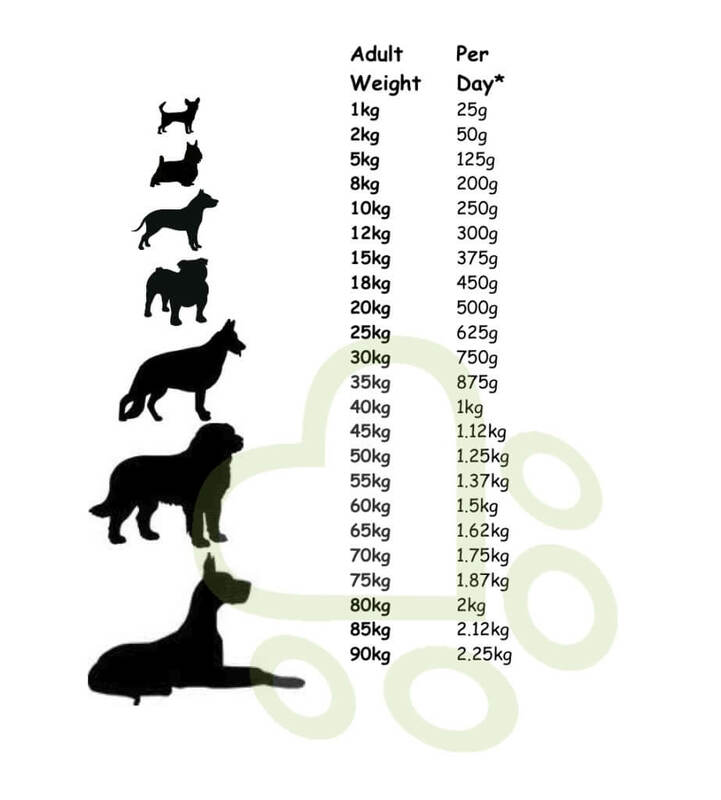 Dogs (particularly pups) should always be lean as excess weight is bad for their limbs and energy levels. A handy rule of thumb is you should be able to feel his ribs with a light stroke but not see them. Feed fresh, raw meaty bones twice a week. Find cheap meat in the reduced aisle of supermarkets and at the local butchers – for dog’s it’s “best before not bad after”. HOW DO I KNOW THEY'RE GETTING EVERYTHING? Variety is the key to avoid nutrient deficiencies and excesses. Still, poor ingredient selection aside, the general decrease of nutrients in our food chains (poor farming practices using poor foods and soil erosion) means your dog could very much benefit from a supplement here and there. As Hippocrates said, let food be thine medicine. We agree. So feel free to pop into some medicinal herbs, some dark berries, all very powerful food additions. One of the most popular supplements you can add in is probably seaweed. It has an unbelievable range of vitamins, minerals and entirely unique antioxidants. We sell a lot of it here on Dogs Fist. It's important when shopping for seaweeds you choose those not dried with heat (they don't like that), ideally are farmed sustainably in nice, clean fresh waters, and all at a competitive price, like ours! So please check out our range of seaweed products that include Irish Kelp Blend for Dogs, a great all rounder and most competitive price, Oculus Prime for the control of weepy eyes in dogs and StoolRite, a stool former for dogs (which can be needed at the start should raw cause a little constipation OR diarrhoea as, somewhat unbelievably, StoolRite makes hard poos soft and soft poos firmer!). As a good all-rounder I recommend BioFunction8 to start off on. 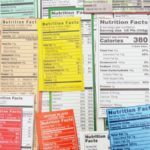 HOW MUCH RAW DOG FOOD DO YOU NEED TO FEED?! Firstly find out the weight of the dog. For small dogs, simply pick them up while standing on the scales and for bigger dogs, take them to the scales in the vets or make a good guess. In short, adult dogs need 2.5% of their body weight per day in fresh food, though use our Dog Food Calculator for assistance with different lifestyles and ages. Remember as well that only you know what other factors may affect your dog's hunger. Big walk that day? Extra dollop. Big bone that morning? Take a dollop out.